And it could be enforced in just a few years. 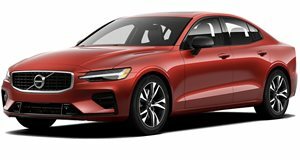 Last month, Volvo announced that all of its new models will have a restricted top speed of 110 mph from 2020 as part of the automaker’s plan to make all its cars death-proof. Now, a provisional EU deal could make active speed limiters mandatory in all newly designed cars from 2022 and new versions of existing models from 2024. These plans are still subject to approval from the European Parliament and EU member states in September, however. Dubbed Intelligent Speed Assistance, the limiters proposed by the European Transport Safety Council will use GPS data and/or traffic sign recognition cameras to determine the speed limit of a road. Engine power will then be limited to match the speed limit, preventing the car from exceeding the speed limit. It will be possible to override the system by pushing hard on the throttle, but the system will be engaged every time a car is started. The speed limiters will come alongside data loggers, autonomous emergency braking systems, lane keep assist, driver fatigue detection systems and other safety measures. Initially, the system will come with an on/off switch, but the ETSC says this is only "to aid public acceptance at introduction” however, so don’t be surprised if a permanent system is enforced at a later date. The ETSC believes the limiters will reduce collisions by 30 percent and save 25,000 lives within 15 years of being introduced.